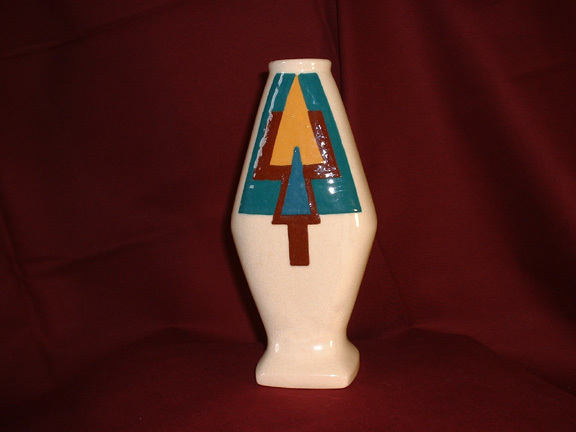 Description: Vase by French deco artist Simone Larrieu. 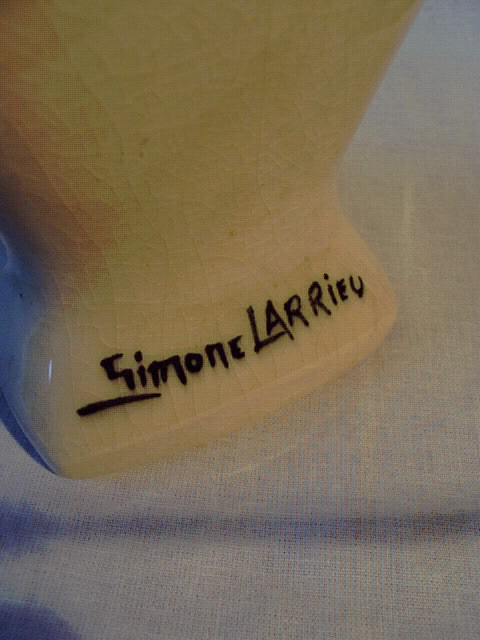 Rare full signiture (under glaze). Slip decorated, crazing to overglaze. 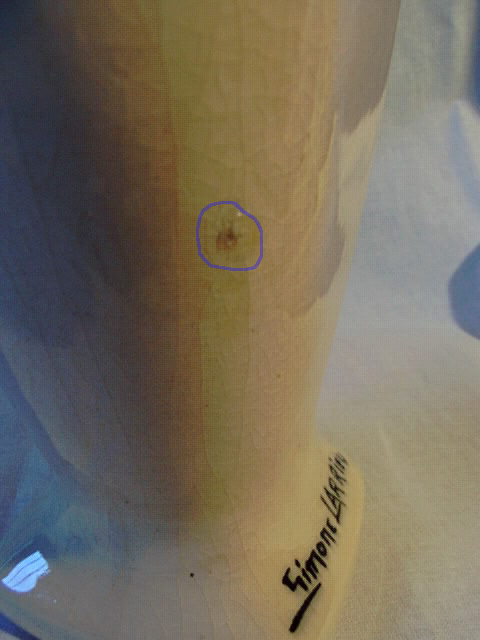 Small glaze flaw on back corner. Approx. 7" tall. A great example of cubist art from the later part of the movement. The color does not show real well. It is blue, gold, green and maroon with cream body. About 1920.